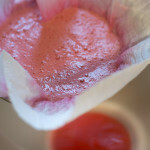 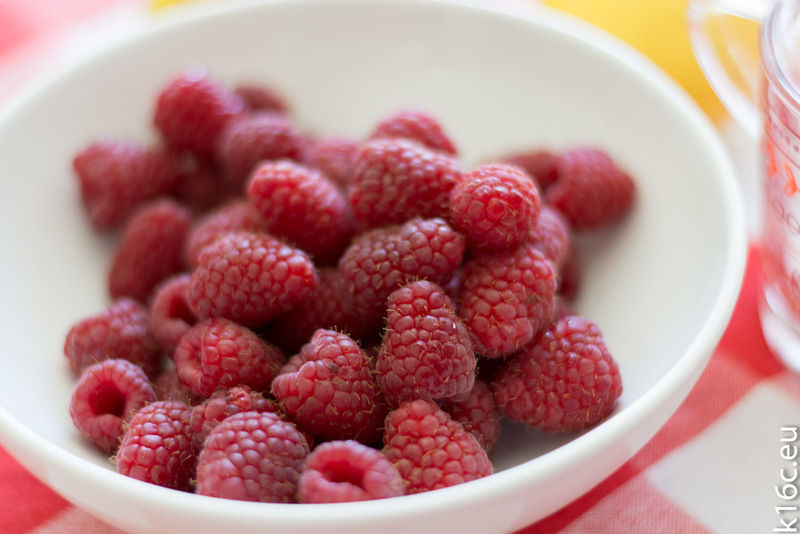 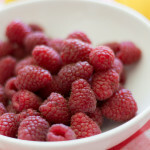 First of all wash the raspberries and put them in the blender, add the sugar and a tiny bit of water. 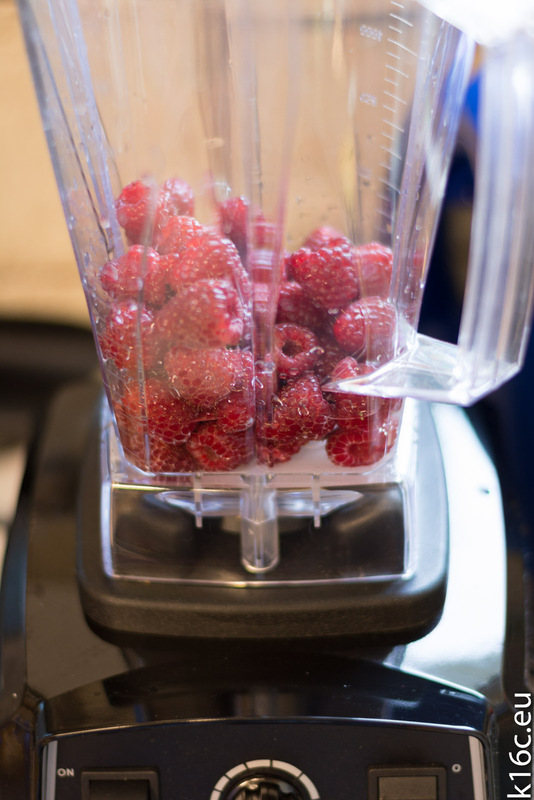 Blend all to a smooth raspberry puree. 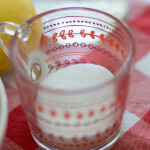 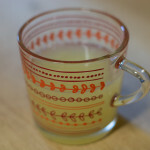 Then add the lemon juice and the water and mix it well. 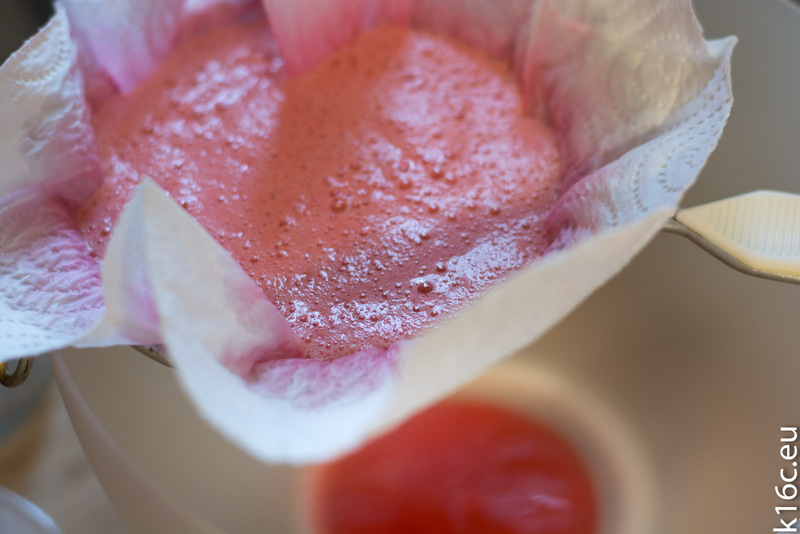 We filtered the mixture to get rid of the little kernels and fibers. 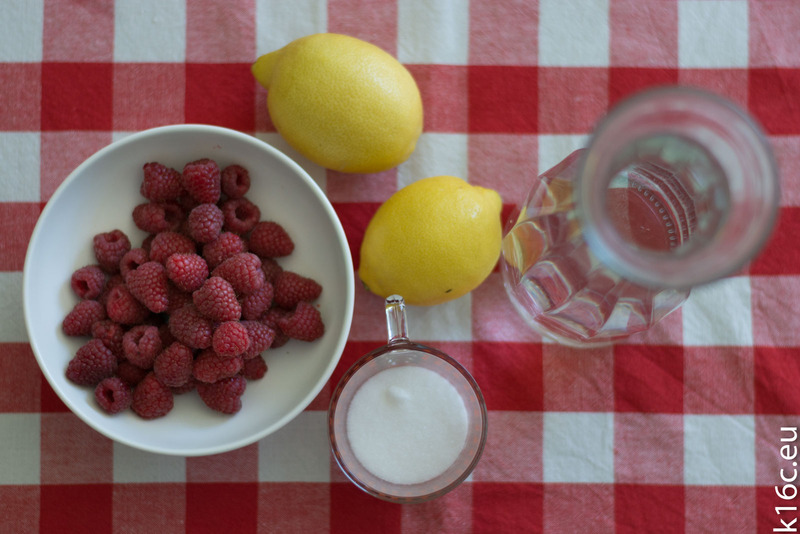 Now your Lemonade is ready for the fridge. 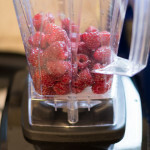 Let it cool down for at least 2 hours in the fridge. 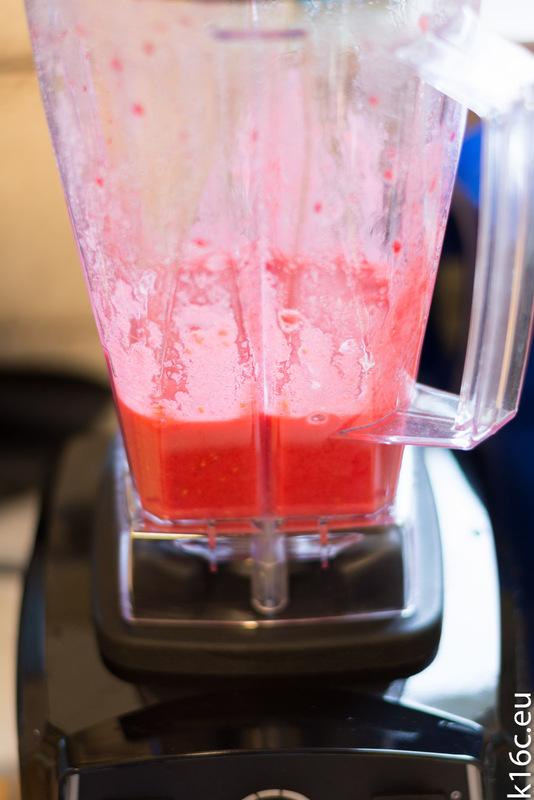 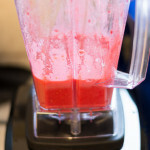 If you want to accelerate the cooling process just add less water and some ice into the blender. 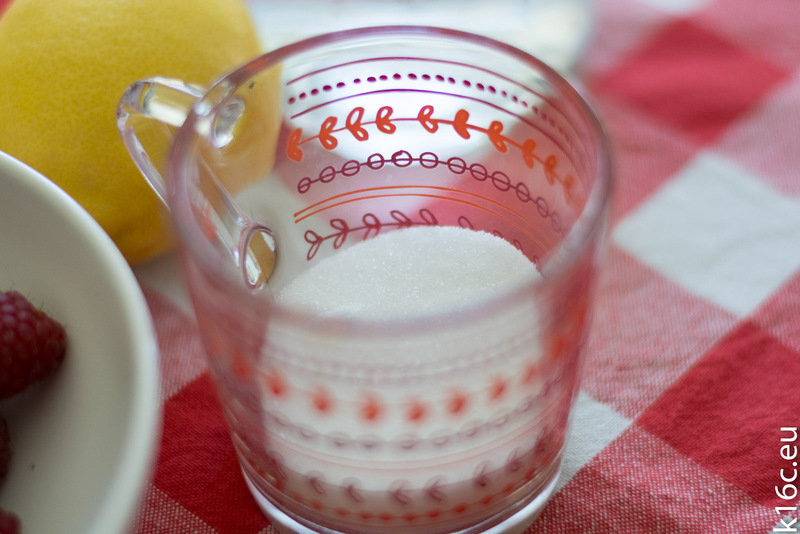 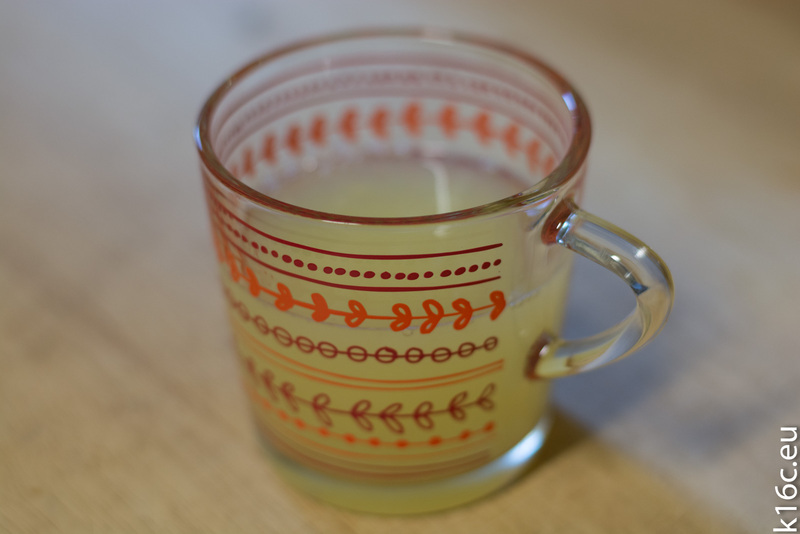 Also you may want to change the amount of water (and of sugar if you’re really sweet) to match the recipe to your taste – we found that adding another liter of water didn’t hurt the taste at all! 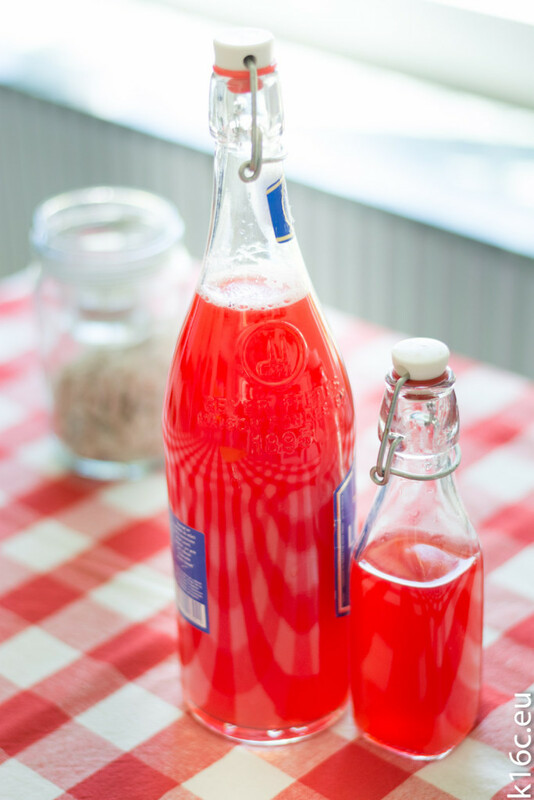 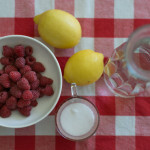 Enjoy your fresh Homemade Raspberry Lemonade!